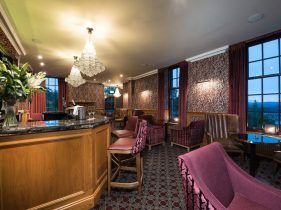 Gleddoch Hotel, Spa and Golf Resort isone of the most prestigious luxury hotels in the Glasgow area. 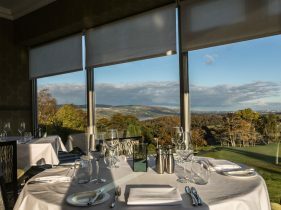 Featuring a top-quality golf course and spa resort, meaning it is so much more than just a hotel. Situated amongst 360 acres of picturesque Scottish countryside, with spectacular views across the River Clyde, Ben Lomond and the rolling hills of Renfrewshire, it’s no wonder Gleddoch is a leading hotel near the city of Glasgow. 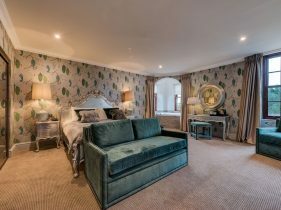 History and heritage also play a part in the unique charm of Gleddoch – the hotel was once the awe-inspiring home of notable shipping baron, Sir William Lithgow. 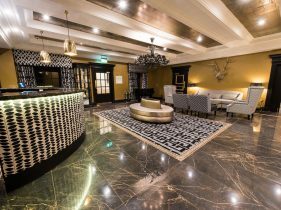 This prestigious hotel, golf and spa resort, has recently unveiled a major transformation following a multi-million pound refurbishment bringing contemporary flair and more luxury to the new hotel and spa facilities. 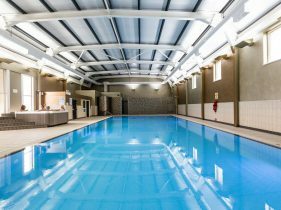 Thanks to its excellent facilities, outstanding golf and spa services, and not to mention the convenient location, Gleddoch offers the whole package for those looking to get away from it all. One night’s accommodation, including breakfast and a three course meal for two people. Which city is Gleddoch Hotel, Spa and Golf Resort in?? Competition closes on 31st December 2017 – GOOD LUCK!